Build or buy? – that’s the question plaguing hundreds of thousands of enterprises in search of the perfect software solution. The beauty of generic applications lies in their accessibility; install the app on your smartphone or computer, and you can start using it almost immediately. On the other hand, the development of custom software depends on certain specifications and requirements. Generic apps are nominally priced while custom-developed applications usually carry a bigger price tag. And it makes sense, considering how the price of developing a ready-to-use app is spread out among numerous licenses sold to buyers. Custom software, however, is tailor-made as per the client’s instructions, and all the development costs must be borne by that particular customer. So, if you’re basing the decision of custom software development versus generic applications on price alone, the latter might be your best bet. Note that buying generic apps also provides an estimate of the type of expenditure you might be looking at throughout the duration of the app. Performance-wise though, generic apps fall short of custom-designed applications. The problem is, a lot of companies and organizations underestimate the resources and time required to create custom enterprise applications. Not only should the development team consider the initial design, test, build, and implementation expenses, but even the general maintenance costs, headcount enhancements, support, and patches. To future-proof the app, functionality upgrades and enhancement prices should also be considered. Your enterprise might have the money necessary to develop custom apps in-house, but you should still outsource an experienced backup team. Outsourcing gives you access to the best of both worlds, meaning you can use ready resources to develop custom apps whenever needed. Nowadays, all you need is a fundamental knowledge of coding to perform quick customizations. But that doesn’t mean app development is easy. Coding is a small part of the overall process; there is app design, requirements gathering, testing, UX and other important software aspects – all of which are difficult, and require highly-trained professionals. Creating an app based on the needs of your enterprise might seem like a manageable and attractive idea, but the truth is, such tasks serve as a distraction from the central focus of the company. App development subjects internal IT resources to a lot of pressure and more often than not, reduces their efficiency. As far as custom applications are concerned, the enterprise must take care of the various drawbacks until the kinks have been ironed out. But when it comes to generic apps, the enterprise has a chance at learning important lessons from others’ mistakes. Also, in generic app development, the central focus of the developers is the app itself. This is why they include best practices, like agile. At the same time, they stay updated on the current technological trends to beat the competition. So, the app is put through some grueling tests before it can be released in the market. Unfortunately, you can’t just choose a random app from the marketplace. There is an elaborate procurement process, and you must overcome certain challenges due to the source-to-contract system. Plus, finding a reliable product takes up a lot of the in-house team’s time. Generic apps need to be tested by the enterprise for supporting infrastructure, UX, the simplicity of use, and other parameters. If the app requires a lot of customization, in-house development is the recommended option. Enterprises intending to develop basic apps for routine functionality do not contribute much to the industry as major players like Microsoft and Google are already going a better job with advanced, secure, scalable, and most importantly, customizable solutions. It is all about the details. If a generic app isn’t modular or matured enough, it can fill up your system with unnecessary options. Situations like these call for custom-made apps that remove the additions and guarantee bloat-free functionality, optimized according to the needs of your business. Apps must integrate seamlessly with other systems in the enterprise, especially the finance and back-office systems. And custom apps help you achieve just that. Developers must take the current system into account while creating the blueprint for the app development project, and ensure the new software operates glitch-free in the IT ecosystem. When you download an app from the marketplace, you know you’re going to receive updates from the developer. Helpful customer support is an added bonus. However, the duration of time that passes between each update can be significant, and affect your business. Custom app solutions provide you the freedom to implement changes whenever. This means no longer having to wait for new releases to add necessary features to your apps. Whether you should go for off-the-shelf apps or custom-design your own program depends considerably on the type of enterprise. Smaller organizations, for example, hardly have the resources, time, or budget to develop complex software. Most of the time, their requirements to are quite basic, without the need for complicated integrations. Off-the-shelf apps offer more value in this case. But, you can also argue that the additional investment and effort required to develop custom software comes with their own set of benefits. When you develop a custom platform, you form a more streamlined business process. Custom software can easily be replicated and scaled. But generic apps do not provide this level of scalability without further investment. The end user should also be taken into account when choosing the app. Generic programs feature full, comprehensive packages that have been tested for bugs and other problems. Custom apps, on the other hand, need considerable investment for training the users. Trial and error is a part of the learning process, and every version improves upon past versions. However, your business may sustain quite a blow during this kind of trial-and-error phase. 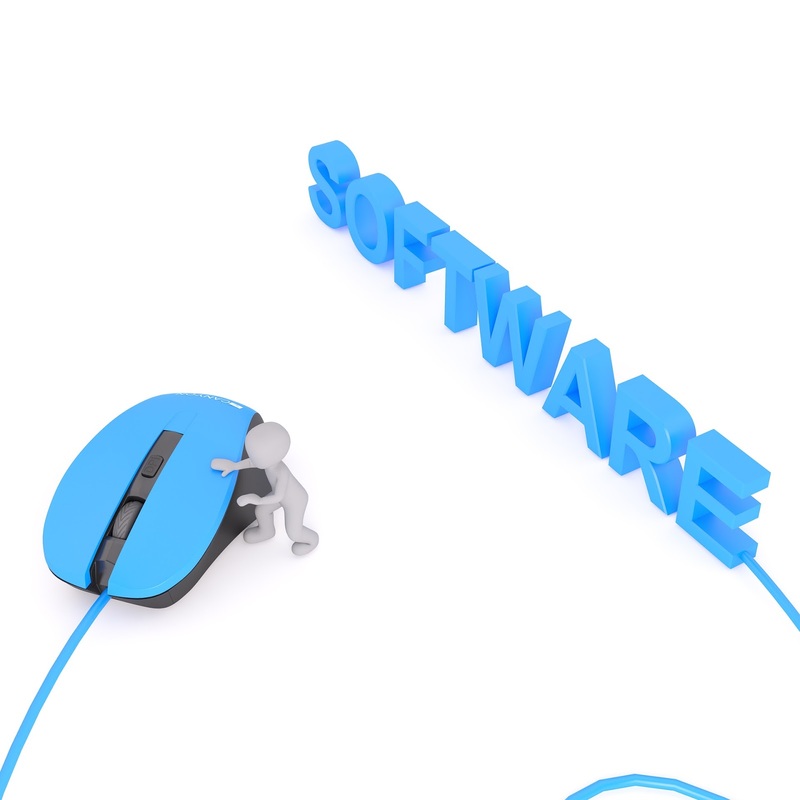 When you choose custom software, you use software created exclusively for your enterprise. That means the specifications and features of the app are all meant to support and improve the existing operations of your business. And what works for your company, may not necessarily work for others. Thus, you stay ahead of the competition at all times. To tell the truth, it is impossible to determine with absolute certainty if your enterprise will benefit from the development of custom software or if you should go for generic apps. This dilemma can only be resolved if the company looks closely at its immediate circumstances. But the wrong decision is liable to cost the organization a lot of money and resources. Thus, it is an enterprise’s best interests to evaluate both the advantages and disadvantages of custom and off-the-shelf apps before finalizing the best option. Depending on what your needs, you must reach a conclusion. While conducting the trade-off, your focus should be on the efficiency with which the app enables you to serve your buyers and consumers as well as your stakeholders in the most efficient way possible.